— Knee Pain! Don’t Live In Pain Any Longer! 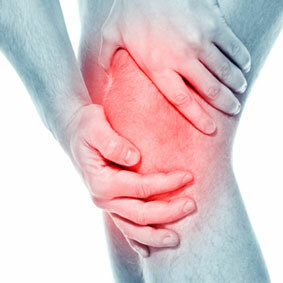 Have you been suffering from ongoing knee pain for way too long? No matter what you do your symptoms just don’t seem to be resolving? Knee pain will often occur suddenly or develop over a prolonged period of time due to numerous reasons such as injury, arthritis and your bio-mechanics. Depending on the area in which your knee pain originates, will determine which structures are involved and the severity of pain experienced. Often poor foot biomechanics and conditions such as flat feet will result in conditions such as patellofemoral pain syndrome. 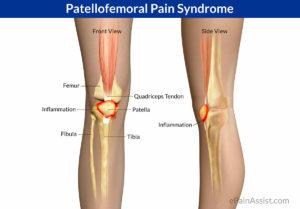 Patellofemoral pain syndrome (also known as Runners Knee) is a condition that causes pain at the front, back and around the kneecap. It also causes pain during movements in which the knee bends. Typically, an imbalance in muscles and repetitive stress will cause this pain to occur. Other conditions that may also result in knee pain include ligament injuries such as those to the ACL (anterior cruciate ligament). Usually those who play sports that involve a sudden change in direction or stopping are more prone to developing an ACL injury. You may also injure your posterior cruciate ligament (PCL), lateral collateral ligament (LCL), and your medial collateral ligament (MCL), though these tend to occur less often. Meniscus injuries are also common in which the knee is twisted suddenly. The menisci will act as a shock absorber while walking and running.